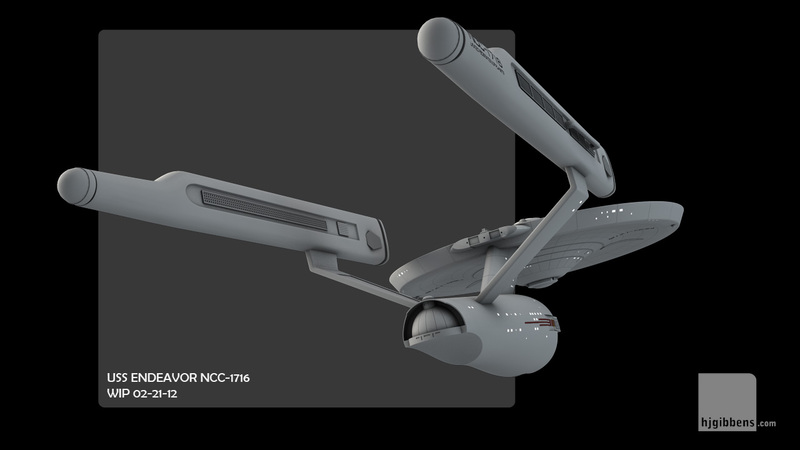 Had a few hours spare while waiting for some feedback on another project (more later) and thought I would pay some attention to the Endeavor before it starts to feels a bit unloved. 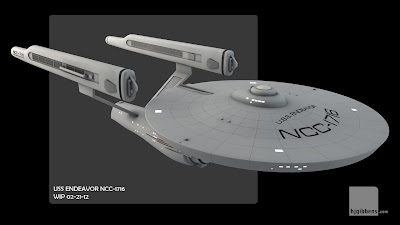 Replaced the primary hull with the new gridline version from the Santee, rebuilt the neck to include the gridline and correct the window placement, modified the nacelles and made a start on the markings. Still in boring grey while I get some information on what the experts think it's colour should be. Those are the oddest nacelles I have ever seen! I like 'em, they are just odd. Well done as usual. Why do I think I've seen this before? 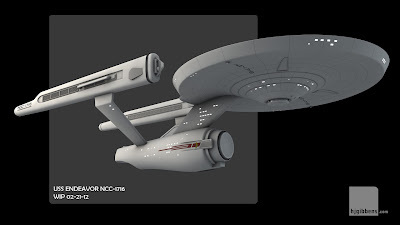 The design is based off one of Mike Minor earlier paintings for the TMP Enterprise, which was then adapted by Geoffrey Mandel and finally found its way into 'Ships of the Star Fleet: Volume One'. ou may well have encountered one of these incarnations at some point. USS Santee - no longer in gray!